Chagatai Khan: GEO TV & Kamran Khan vs Lies of Dr Shahid Masood. Dr Shahid Masood often pulls popular stunt to gain cheap popularity. 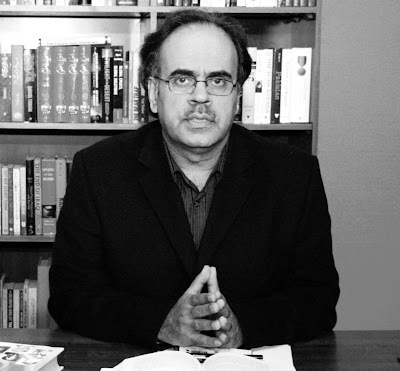 [that is why he often write Urdu Columns because human memory is weak] One wonder which Shahid Masood is to be trusted, the one who started his career in ARY ONE Views on News, the one who used to exploit Pakistanis on Meray Mutabiq on GEO TV, or the one who joined PTV and Prime Minister Secretariat as the Advisor to PM or the one who again joined Jang Group of Newspapers and GEO TV [AIK BAR PHIR - ONCE AGAIN] ‘revealing’ that he is dismantled by the government, I wonder after so many somersaults [for earning quick bucks], does even the inept PPP Government need a Zionist Conspiracy to dismantle this comedian, Dr Shahid Masood? 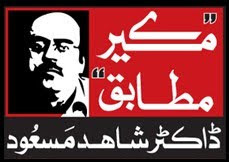 One wonders that when Dr Shahid Masood knew everything bad about Asif Ali Zardari and Co why did he join the PPP Cabinet, he also accepted the post of MD PTV. When Dr Shahid Masood joined PPP Administration and then after quitting [when his pay package was discussed in National Assembly and Senate] he filed this story in The News International about Ansar Abbasi!!! Despite all the above yet the Editor of The News International, Mr Shaheen Sehbai has the audacity to file this canard line in his bi-line "story" in The News. Shame on you Mr Shaheen! Shahid Masood is a very smart man, so get off of his nuts. 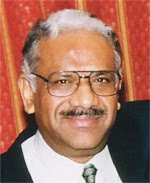 Dr Shahid Masood is a very smart man, so back off of his nuts.